One of my New Year’s resolutions last year was to find ways to make work-life more satisfying socially, and of course there was the get in shape resolution. Fast forward to St. Patrick’s Day when I finally implemented a super simple way to enjoy a healthy lunch for work by packing only one ingredient. Salad club was born. What is this Salad Club you speak of? Salad Club is a potluck with a purpose – a healthy lunch for work made possible by a group of folks contributing one salad ingredient. I’m not sure where I got the idea, but when I decided to do my research, I used the google. People have set salad clubs up in various ways, some very regimented and others not. Using what I read, I developed my own process that suited my office crowd, mechanical engineers. Engineers are intelligent, independent, and sometimes unsocial creatures. So most days, the lunch room was a relatively quiet place. I knew though most of them appreciated good food and enjoy being social when given an organized event. I wanted to interact more with my co-workers, and motivation to eat away from my desk and have an easy, healthy lunch for work once a week. Thus, Salad Club was a perfect fit. Sure, healthy lunches are great for us, but can be time consuming. Let’s face it, cutting up all the components of a salad can take a while if you’re not an iron chef. With Salad Club, you divide the prep duties among your group. Instant sous-chefs and you only need to prep one (or two ingredients) instead of half a dozen. That’s all the more time I can watch the Real Housewives. We all know we should eat more whole foods, but let’s face it, when no ones watching and you’re tired either at night or in the morning, how easy is it to say f*<k it and be lazy and grab something to go. Too easy if you ask me. I REQUIRE accountability to be successful. I know that about myself. So, to eat a healthy lunch at least once a week, I needed someone or something to hold me accountable. Salad Club is my Mr. Miyagi. New salad ideas are a rewarding reason to be creative. I love tuning into my cravings, Pinterest, and restaurant menus to come up with new healthy lunch salad recipes each week. Some of my colleagues do too, and I welcome the input. Many are happy to let others do the work, and that’s fine too since it’s not all of us that find cozying up with a laptop, a beer and a search bar as enjoyable as others. Others enjoy the inspiration, and make the recipes their own, by creating homemade masterpieces. We had one guy bring in homemade seitan for a vegetarian substitute for buffalo chicken salad. I chose to do a weekly salad club. You could do this more than once a week though, and include other healthy options too. It all depends on your group, appetites, and what you’re version of healthy is. At some point, you should also consider the size of your group. Depending on your office size, you’ll want to extend the invitations to a manageable size, whatever that might be for you. In our office, we have 36 total. Many of our engineers are frequently traveling on business, and I knew many might not want to participate. So I knew the regular attendance would typically range around the size of a dozen. I could manage that. I tried to entice members with an intriguing email to get their attention. 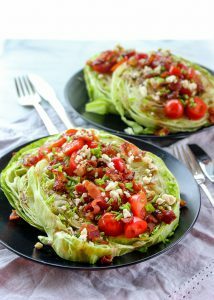 I admit to copying the genius content from geeksdreamgirl.com for the rules of Salad Club. I added in my own enchanting content to an enticing email. It was pretty effective as I got about 1/2 of my office to sign up after the first email. I followed up with another email after about a month and boosted the membership to 2/3 of the office. Quite an effective drip campaign. Our typical lunch includes 10-12 members with the highest being the full 2/3 of the office. Regardless of your size, you need a system to organize the signups that is easily accessible and easy to use. I found signupgenius.com able to meet that requirement. It might not be the prettiest app out there, but it takes care of your needs and it’s free. So, I’ll take it. When I create the signup every week, I choose a recipe/theme as inspiration and create signup items either by category/specific ingredient depending on the recipes. Category examples are: greens, protein, crunchies, fruit and dressing. 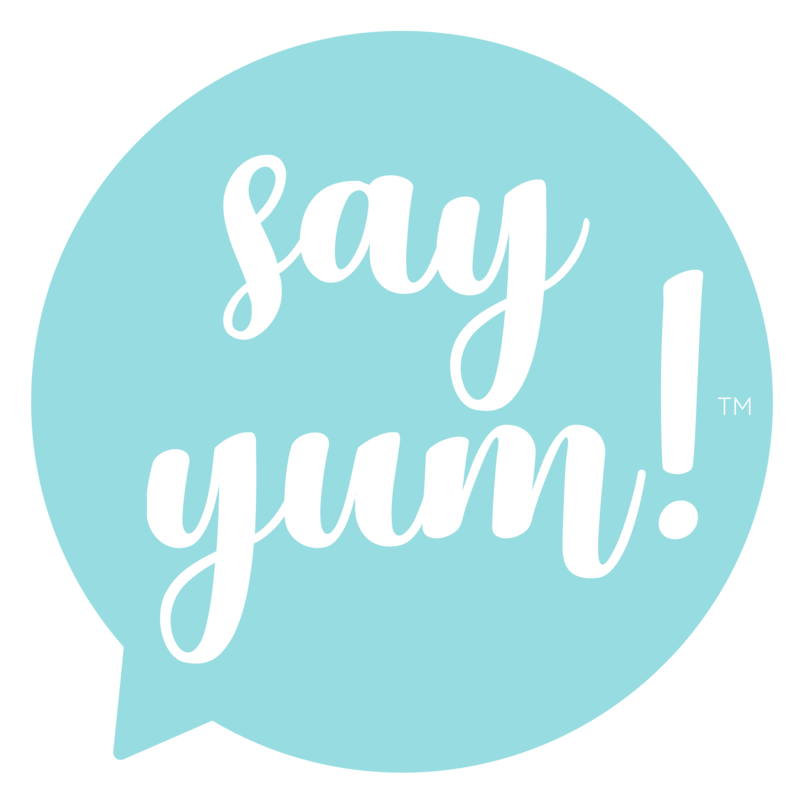 For most signup items, whether it’s category/ingredient, I have 2 or 3 requests for sign ups. Sometimes we have one person in each, others all signup items are full. It just depends on the group size. For us it varies anywhere from 6-20. I recently added another category: donations. I found some folks were interested in participating but not able to get to the store that week. Therefore, I opened it up to those and ask for a donation of $5. Someone suggested $10 but I felt like in that price range, you could go out to eat, kind of, depending on where you eat and live. I now use the cash to supplement protein purchases, since they’re obviously more expensive. FYI, sign up genius templates are somewhat limited in relevance to salad. So I often upload a custom image to at least give folks an idea of what they can look forward to. When you do this, you need to give signupgenius a few hours to approve your image. Sometimes it’s within minutes, most often its a couple of hours. So build that time into your signup creation and timing. I typically send out invites Thursday for a Tuesday salad club. I like Tuesday because it’s not Monday. I don’t want anything else to worry about on Mondays. It’s close enough to the weekend that I can shop for salad club ingredients then. I found providing too much notice discourages people from immediately signing up. Thus, Thursday, late morning is my ideal invitation time. 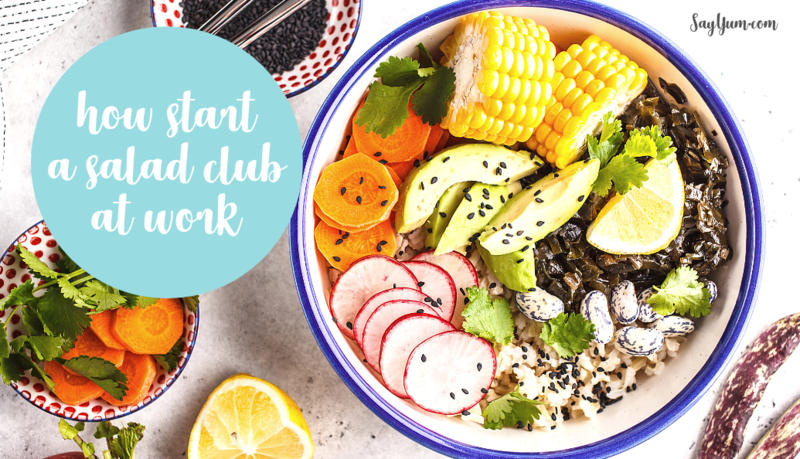 Hopefully by now, you’re all full of sunshine and rainbows, love the idea of Salad Club and ready to start your own! Or at least prepared to when you’re ready. Pin this! There is one potential downside to having a salad for lunch, a quick turnaround time for hunger. Now, I pick salads that are well rounded, i.e. not just veggies! That means lots of protein (meat and vegetarian) and some starches and/or grains. However, it’s not uncommon that I end up hungry a couple of hours later after salad club no matter how much I seem to eat. I do my best to combat hunger. I play with rations of protein to carbs and quantities. I also tend to eat slowly, so I think it’s hard for me to eat enough within my lunch break to last me long enough. Sometimes people have brought in bread freshly baked bread, and that certainly helps – though easy to go overboard on. Lately, I plan a healthy afternoon snack to make sure I’m not hangry by dinner, like some plain greek yogurt with blueberries and a honey drizzle. Despite the early hunger, the salads are always delicious, even when I have my doubts. 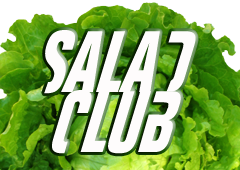 The up side is way bigger so I’m happy to keep Salad Club alive. 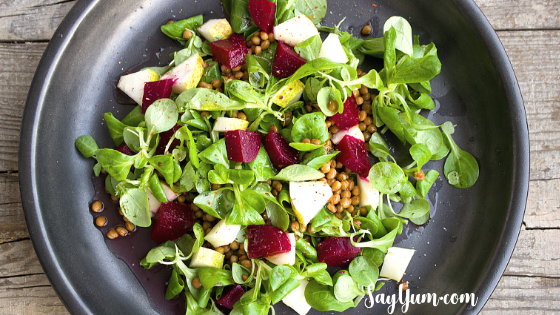 Need healthy lunch salad inspiration? Unlike my husband, who supposedly came home from school in fourth grade and made himself salads for a snack, I feared anything healthy like the plague. If you were to ask my 10 year old self, what my favorite salad was, it would have been my dad’s tomato salad – tomatoes dressed in mayonnaise, salt, pepper and a bit of onion, not the perfection of health but I sure remember it being delicious. I’ve certainly come a long way. Our salads for the club go way beyond lettuce and dressing. I always ensure there’s a balance of flavors, textures and satisfying ingredients like proteins and starches. 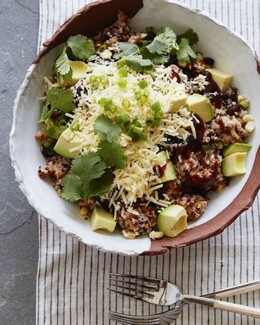 grain bowl: a variety of grains for a base, veggies, proteins, fruit and other toppings (herbs, nuts, dressings) – our BBQ chicken quinoa bowl was amazing! Photo Credit: What’s Gaby Cooking? wedge: stopping making them wedges people! cut them into discs…so much easier to eat! We added chicken to make it more filling. I’ve never been disappointed with any contributions…Well, there was that one can of peas…But other than that, it’s all been tasty. We are also fortunate to have gardeners in our group contributing homegrown produce – can’t get more local than that. 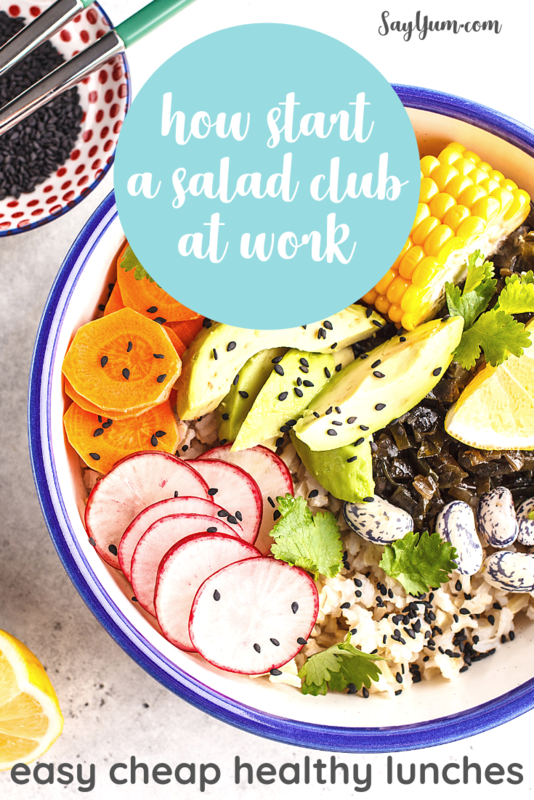 Salad Club is the best thing I’d done for myself, and generated the most impact on the vitality of our office. When we eat together, we talk more, eat well and I only had to bring in one thing for a mouth-watering lunch that I likely wouldn’t have had otherwise. It’s refreshing to know that you can make a difference with baby steps. So yes, Salad Club definitely makes me say yum! Why don’t you give it a try?